The Primitive Way is becoming one of the main attractions for many of the pilgrims who decide to make their pilgrimage to Santiago de Compostela, especially after being declared a World Heritage Site. 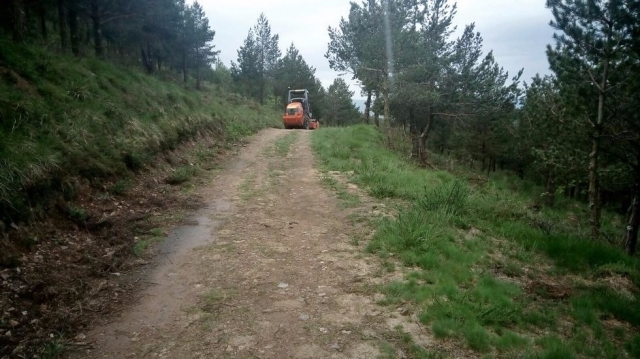 Due to the increase of pilgrims continues to rise on this route, there are few works designed to improve some aspects of the road on certain routes, such as improving the firm or signaling.From the Xunta they are doing different jobs around the Primitive Way to improve the experience of walkers. One of the areas where work is the route connecting Asturias and Lugo. It is in this part of the Primitive Way, the highest of O Acebo, where improvement works are causing complaints from neighbors and strangers alike, as it has been decided to improve the layout paving the way with machines, losing the charm that entails walk a rural setting in the woods.Specialists in the Primitive Way, as the historian Richard Polin lucense criticize the works, ensuring that they are losing the essence of the route and asking even political resignations. Xunta technicians consider it to create a functional layout to improve the comfort of the pilgrims, although some people think losing the charm.